Committee Member Neil Mullineux, wearing his Lyme Hall Volunteer “hat” began his entertaining and enlightening talk by telling us that in his view, the Lyme Missal is overpriced even though in 2008 it cost the National Trust (with the help of a few friends) £465,000 to purchase it from the Legh family. 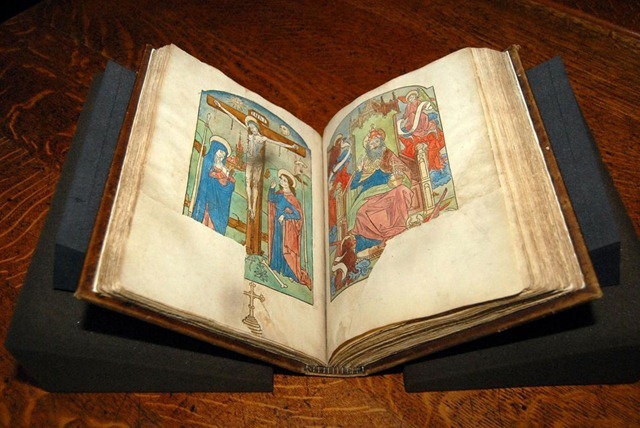 However, its importance lies in the fact that the book on display at Lyme was the first copy to be published by William Caxton (left) in 1487 in conjunction with the printer Guillaume Maynyal in Paris. Why Paris? Because Maynyal had the skills needed to print red text onto sheets already printed with black text, produced in England. When the pages were returned to Westminster, London the beautiful hand painted illuminations were added. Neil explained that printing requires the combination of 4 different technologies: oil based ink, reusable type, paper and a printing press. Oil based ink was available by the 1400s, previously, only water based ink was available. The process of wood block printing had been practiced in China since 200AD, but it was a cumbersome process because of the vast number of characters used in the Chinese alphabet. 2000 characters were needed for even the simplest communication and there were over 4000 (right) in common usage. Korea had developed movable type, initially in wood, then porcelain and clay but all were fragile. The development of metal typeface, hard and durable was revolutionary. Paper was first made around the same time in Inner Mongolia but it took several centuries for the process to cross to Europe and it was 1490 before the first paper mill in England was built at Stevenage. Johannes Gutenberg, a German goldsmith, is credited as the inventor of the first printing press in 1453, based on the same principal as a wine press. William Caxton, a merchant, based in Bruges saw the potential, copied it and brought the first printing press to England. It was Caxton who published the first book in English. The Legh family had little imagination. There were at least 12 generations of sons named Piers/Peter. However, the Piers we are interested in is Piers number V (1455 – 1527). Uniquely both a soldier and a priest, he paid for and had built a chantry chapel on the site of the present church, St Mary’s, Disley. Neil told us that it is 99% certain that it is this Piers who, sometime around 1480/85 bought the Missal and brought it to Lyme where it would have been kept in the chapel. Fast forward to the 1520s when Henry VIII’s pursuit of Anne Boleyn started a chain of events that led to the English Reformation. Henry declared himself Head of the Church although he remained a Catholic. However, his Act of Supremacy in 1534 required the obliteration of all references to the Pope, the Church of Rome and the Catholic cult of St Thomas from all liturgical books. The Missal shows examples of verses being crossed through, faintly enough so they can still be read (left) and prayers removed but then rewritten by hand at the back an indication that the Legh family continued to practice their Catholic faith during the Reformation. At some point the Missal was moved to the library at Lyme and was forgotten about. It was rediscovered in the 19th century. When the Legh family left Lyme in 1946 it remained in their possession and was held for safe keeping at the John Rylands Library in Manchester. It is one of only two Caxton books in the world that has remained in the ownership of a single family for over 500 years. It is the only near-complete copy of this edition of the missal to survive and contains the very first example of William Caxton’s printer’s device. The Missal is on display in the library at Lyme Hall for all to see. 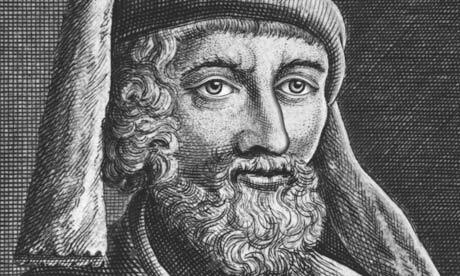 BBC Radio 4 'In our Time', Caxton and the Printing Press Melvyn Bragg and his guests discuss the life and influence of William Caxton, the merchant who brought the printing press to the British Isles.